This is the summer of the water park. 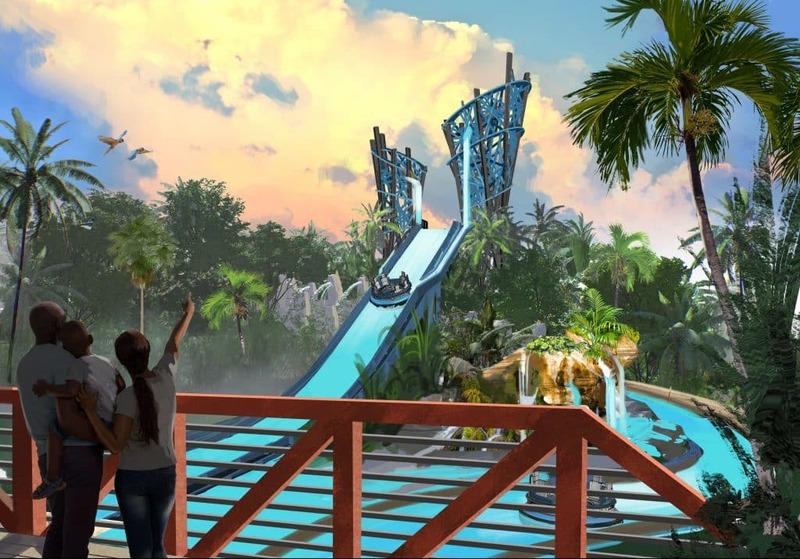 Universal is, of course, leading the charge with Volcano Bay, which is being billed as a “water theme park,” and Disney has decided to get into the game by adding Miss Adventure Falls, the first new attraction to land at Typhoon Lagoon in a decade. Now it’s SeaWorld’s turn. 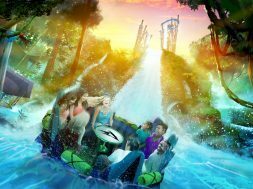 Taking a cue from each of its main competitors, the company just this morning announced Infinity Falls, a brand-new rapids raft ride that features some pretty interesting – and impressive – features. At the heart of the experience is an “unique vertical lift” that, well, vertically lifts the eight-passenger raft before then letting it plummet down a 40-foot drop – the tallest in the world for a rapids ride. 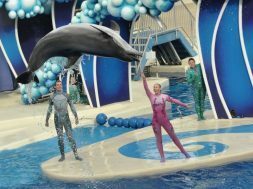 This last point is actually pretty important to SeaWorld, as the genesis of Infinity Falls came from its desire to focus more on the stories about – and its ownership of – water: it wanted to discuss fresh water ecosystems, the animals that interact with them, and humanity’s impact on them – especially how we can make it a positive one. Infinity Falls, then, represents what SeaWorld sees as its future: fusing “play” with “purpose,” thrills with education. Though we should probably hasten to add that the company stressed this will be a family-friendly thrill ride. When combined with the new village area that will be going in around Infinity Falls – one that will provide a host of family activities that underscores the ride’s water conservation theme – it seems clear that SeaWorld really is going for an all-ages experience. Not long ago, a drone sent to explore the jungles of South America discovered previously-uncharted structures in a remote area along the banks of a freshwater river. A group of explorers and scientists were sent to investigate the discovery. Upon arrival, they set up base camp near an abandoned structure. They studied and explored the river, falling in love with its power and the nature living along its banks. Inspired by the river, they developed a sustainable camp for others to visit and explore so they, too, cold learn more about the jungle and how their connection to the waters of the world.